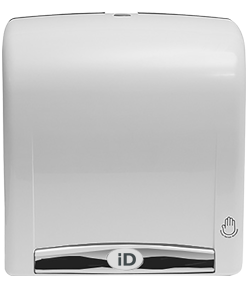 The iD Autotowel offers both manual and sensor driven options in the same look. The manual option has 2 paper length mechanisms cuts paper sheets of 280mm. The sensor unit offers a number of adjustable features including paper length, delay time, sensor proximity and retrofit mains power transformer. 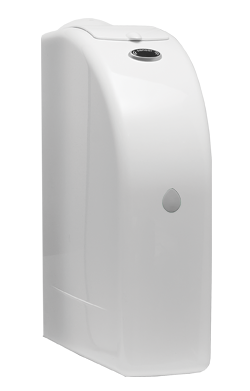 The iD Dosing System provides the most effective automatic hygiene system that ensures clean, sanitised and odour free toilets and urinals 24 hours a day. With features that include real time programmability, refill frequency settings, on and off days, low battery indicator and a function that allows for dosing intensity programing by allowing the user up to 3 periods per day for enhanced dosing delivery to suit location requirements. The iD Dual Roll toilet tissue system is both compact in design and aesthetically pleasing to the eye. With the option of either 2 rolls of 750 sheets of quality coreless double ply toilet tissue or 2 rolls of 1000 sheets of coreless economy single ply toilet tissue. 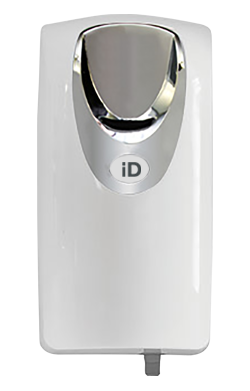 The one piece slim line design iD Femcare sanitary disposal unit is a touch free system that offers the user the ultimate in personal hygiene and comes with some unique features not found in conventional systems. The colour coded service accountability feature ensures that the unit is serviced correctly and the removable discretionary chute made from durable polypropylene plastic can be changed at regular intervals to ensure maximum hygiene. 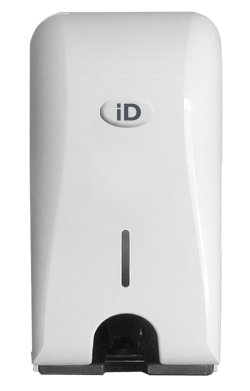 iD Pmax is based on our patented, natural vapour technology and tested to ensure activity throughout the lined bin for the duration of a service. The main active components are based on our unique blend of volatile, natural plant extracts. The first noticeable effect is the immediate fragrancing action which creates a pleasant aroma in the surrounding washroom. 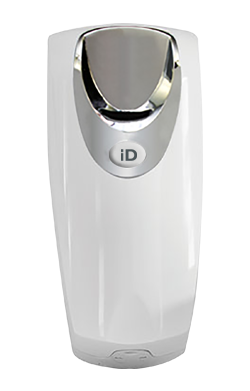 The iD Surface Sanitizer is the ideal solution for cleaning and sanitizing hard surfaces. 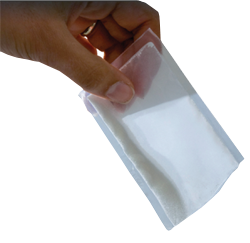 Dispensed through a sealed 365 ml cartridge from a compact easy to use dispenser, the quick drying safe to use lightly fragranced alcohol solution applied to iD toilet tissue can be used to disinfect toilet seats before use. Hot air dryers have become a common placement in high traffic commercial washrooms over the years. however standard everyday dryers do not have the lasting functionality to keep up with the daily constant usage over an extended period of time. 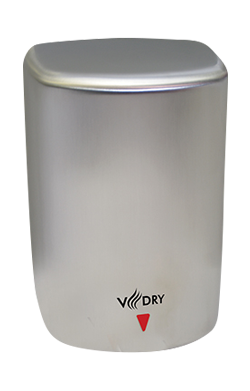 The iD V Dry hot air dryer is the exception to the everyday norm.